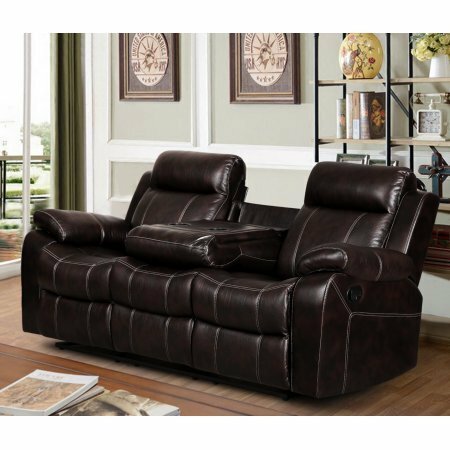 Dark brown leather air reclining sofa with tea table Give your favorite room an added touch of luxury with this stylish sofa. The lush sofa features a reclining design with a drop down tea table that creates the perfect space for drinks and snacks when you're snuggled up for the big game or a great movie. If you have any questions about this product by Vivienne, contact us by completing and submitting the form below. If you are looking for a specif part number, please include it with your message.